Hyundai Motor Company is the largest producer of cars in South Korea.The oval Hyundai logo in the form of the letter “Н” is the symbol of the company’s striving for expansion. The oval shape points to the global expansion of the company and slanted “H” is the symbol of handshake of two people (in particular, a company’s representative and its customer). Chung Ju-Yung founded the Hyundai Engineering and Construction Company in 1947. The Motor Hyundai Company was founded later, in 1967. The first cars manufactured by Hyundai had just a Hyundai nameplate instead of an emblem. It was rather common for Asian manufacturers at that time. In the course of time, however, the company’s chiefs understood that they need a symbol so that the customers could associate the vehicles with the brand. Initially, Hyundai’s symbol was often confused with Honda’s logo. The first model of the company, under the name of Cortina, appeared at the Ford company support in 1968. In 1975, the car Pony was produced. Giorgio Giugiaro from ItalDesign was its designer. The Japanese company Mitsubishi Motors provided all its contents. In the same year, the export to South America namely to Ecuador started. Immediately after that, the export to countries of the Benelux union (Belgium, the Netherlands, Luxembourg) began. In 1986, Hyundai began to successfully sell its cars in the USA, and its car Excel was offered for the prize as the best product number 10. The company started to manufacture cars based on its own technologies in 1988, and it began with Sonata. In 1991, the company produced its first gasoline 4- cylinder engine, 4-ех Alpha. The cars of the Hyundai make were sold in 193 countries of the world, through 5000 dealership networks and automobile exhibition. In 2007, Hyundai appeared on the 10th line of the largest car producers in the world. Hyundai Motor continues to grow every year, in 2007 the company was in the 72nd place of all the world brands. Hyundai means «modernity», «new time» in translation from Korean. The Hyundai symbol reminiscent of a capital letter “H” executed by italics actually has a deeper implication. 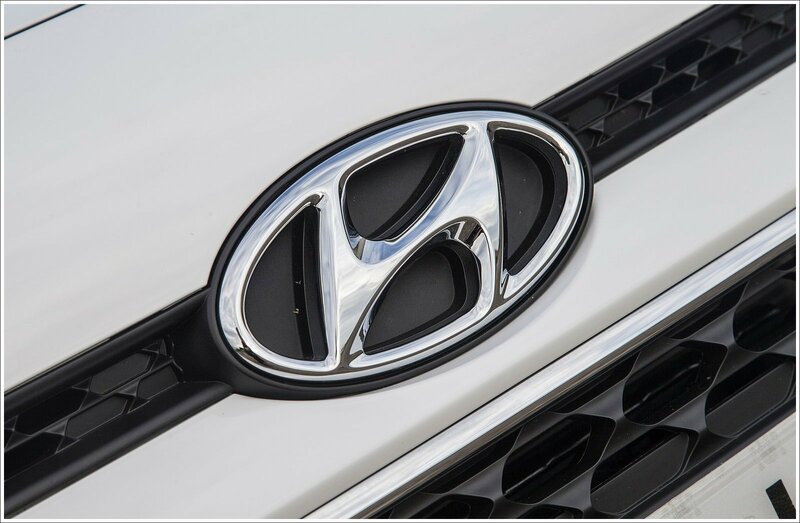 At first sight, the emblem of Hyundai is very simple. There is no the one-digit version of onset of “H.” Some will say the Hyundai brand name starts with the H letter, and the others will see two people shaking hands with each other in it. 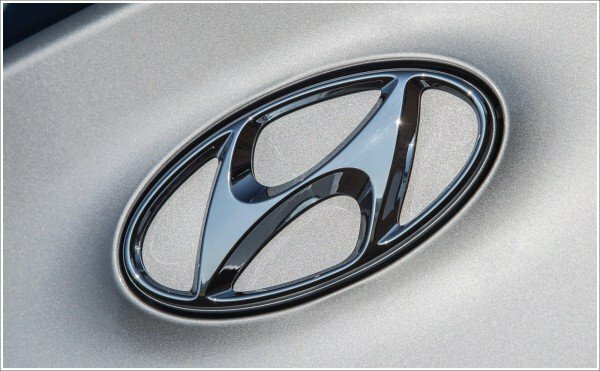 It is also considered that the deformed framing oval of the letter “H” symbolizes the long growth of Hyundai. The blue color in the Hyundai logo signifies reliability, excellence, and supremacy of the brand, whereas the silver color stands for its sophistication, creativity, and perfection. The Hyundai emblem incorporates the custom type of letters designed specifically for the corporation. At present, Hyundai occupies a leading place on motor vehicle manufacturing in Korea and has the 4th place in the world for the number of sold cars. The Hyundai Company intends to produce three “charged” novelties, the line of which will be headed by the car Performance N. One of them will be produced under the new premium Genesis sub-brand and will receive the name of G70. It also became known for the presentation of a new compact crossover Hyundai Creta.